The Marshall Pain Clinic is a state-of-the-art facility with experienced RN and Radiology staff. Traveling out of the area to receive treatment can be agonizing for the sufferer, costly, and difficult to schedule. 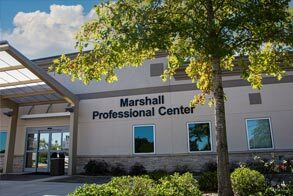 The Pain Clinic at Marshall Professional Center provides treatment options to the residents of Marshall County and surrounding areas in a convenient, close-to-home setting. The Pain Clinic provides medical intervention as part of a multi-disciplinary approach to chronic pain management. Interventional treatment includes any and all efforts to "intervene" in the production and/or transmission of a pain signal with the body. In most cases, this means identifying and treating the underlying cause of a particular pain. In other cases, where the pathology of the pain cannot be successfully addressed through medical or surgical therapy, the "intervention" takes on the form of "pain control" such as physical therapy and/or psychological services. If you are among the 100 million Americans living with chronic pain, a full and active life may seem like an impossible dream. But don't give up. If the pain treatment you have tried doesn't provide relief, the Marshall Pain Clinic is here to help. At the Marshall Pain Clinic we employ a team of healthcare providers that can help you with a variety of strategies to manage your pain. Often medications alone aren't enough to stop chronic pain. Other treatments may be more effective than medications, and medication may be more effective when combined with other treatments. Available treatments include interventional pain management, which specializes in an array of pain blocking techniques often in the form of injection therapies. The objective of the Marshall Pain Clinic is to provide treatments and services for patients who suffer from "chronic pain." The purpose of the Pain Clinic is to provide medical intervention as part of a multi-disciplinary approach to pain management. 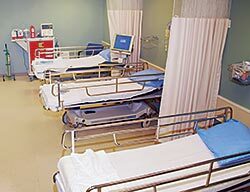 Interventional treatment may be used in conjunction with other therapies or as a stand-alone therapy in an effort to reduce or eliminate the production and/or transmission of a pain signal within the body. In most cases, this means identifying and treating the underlying cause of a particular pain. Your therapy plan will be tailored to your specific needs and circumstances. In other cases, where the pathology of the pain cannot be successfully addressed through medical or surgical therapy, the “intervention” may take on the form of "pain control" such as physical therapy and/or psychological services. What are the sources or causes of "chronic pain?" Chronic pain is defined as pain that lasts 3 or more months. It is both a physical and psychological condition, not simply a physical state. What types of treatments or services will be provided at the Pain Clinic? While there are many different sources of chronic pain, the interventions offered through the Pain Clinic will be focused primarily on pain associated with the spine and the nerves along the spinal column. 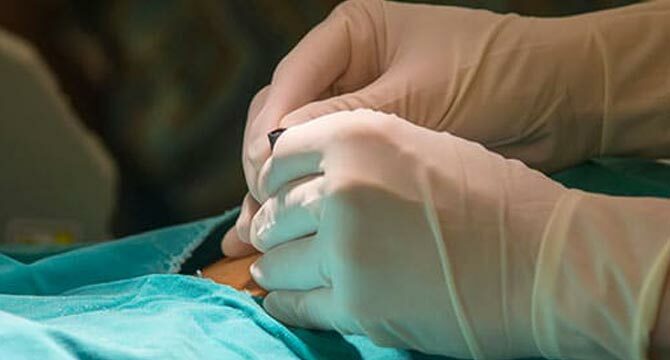 These interventions or "procedures" will include, but not be limited to: cervical, thoracic, and lumbar epidural steroid injections, Caudal steroid injections, intra-articular facet blocks, sympathetic nerve blocks, and transforaminal epidural steroid injections, sacroiliac joint injections, intra-articular hip injections, trigger point injections, occipital nerve blocks and stellate ganglion nerve blocks. What is the objective of the Pain Clinic? To provide treatments and services for patients who suffer from "chronic pain." The purpose of the Pain Clinic is to provide medical intervention as part of a multi-disciplinary approach to pain management. Interventional treatment may be used in conjunction with other therapies or as a stand-alone therapy in an effort to reduce or eliminate the production and/or transmission of a pain signal within the body. In most cases, this means identifying and treating the underlying cause of a particular pain. In other cases, where the pathology of the pain cannot be successfully addressed through medical or surgical therapy, the “intervention” may take on the form of "pain control" such as physical therapy and/or psychological services.